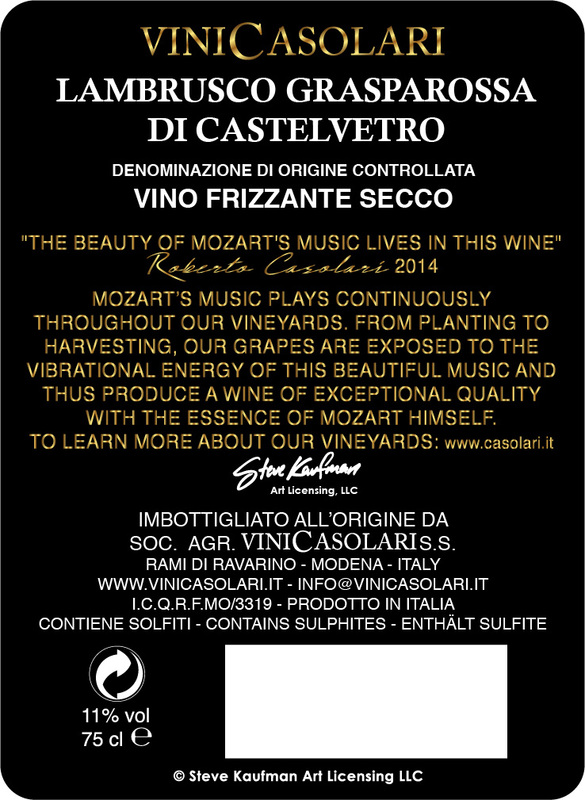 With great pleasure and pride we present Vini Casolari Steve Kaufman, two exciting new additions to the superb line of fine wines produced by the Casolari family in Modena, Italy, and featuring the recognizable image of Mozart State II by Steve Kaufman. 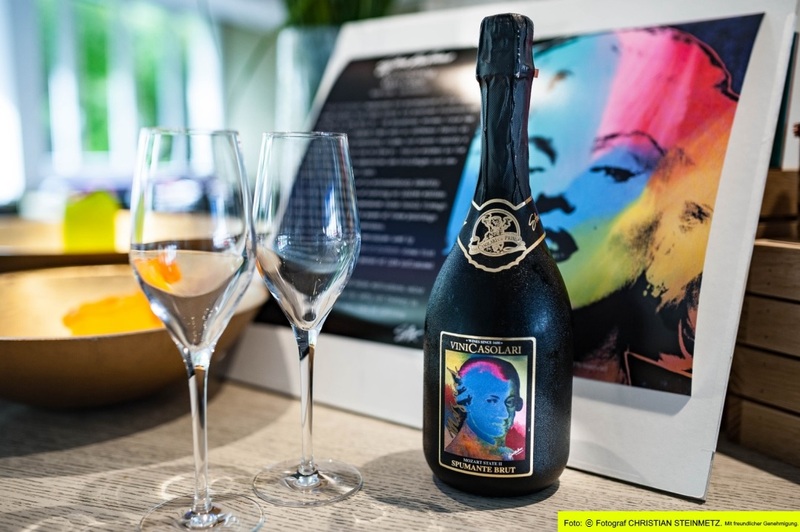 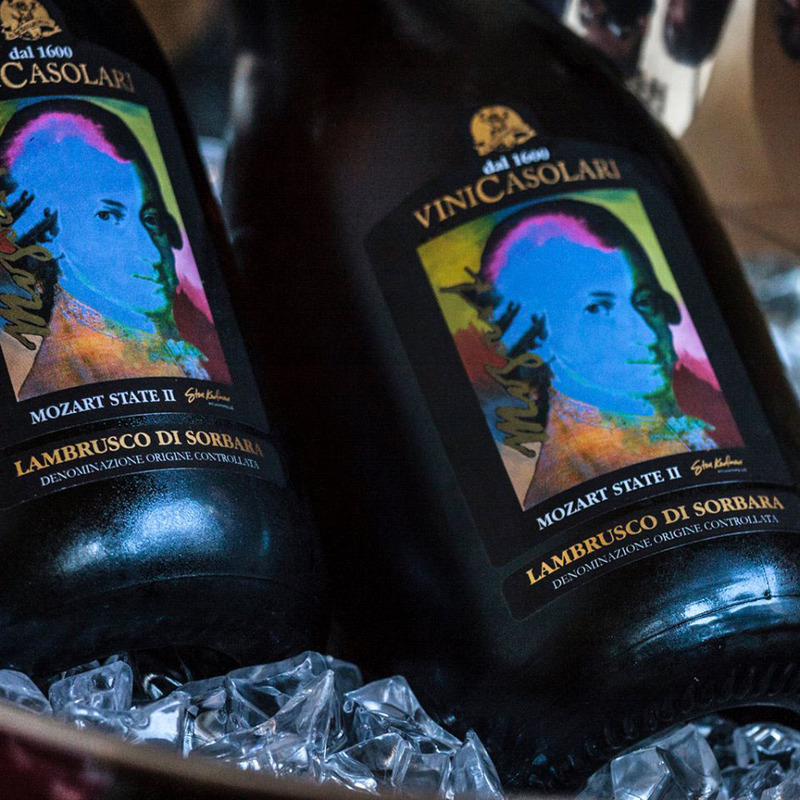 Casolari Winery was founded in 1600 by Primo Casolari, who dedicated himself to the production of extraordinary wines produced from primitive autochthonous vines and to the planting of new Lambrusco grape varieties. Vini Casolari Steve Kaufman releases include a Lambrusco Grasparossa Di Castelvetro vino frizzante secco, and a Lambrusco Di Sorbara vino spumante brut. 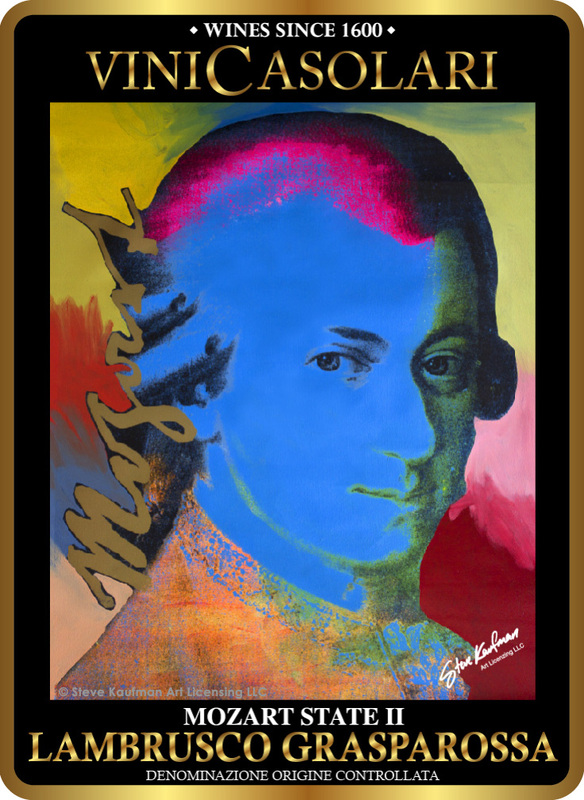 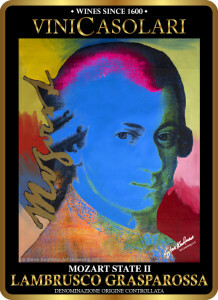 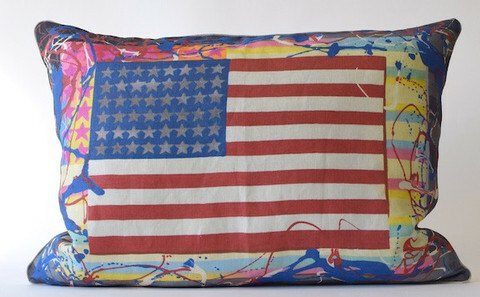 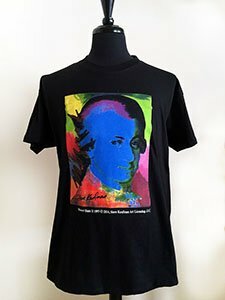 Mozart State II by Steve Kaufman made headlines for being the first painting by an American artist to be added to the permanent collection at Stiftung Mozarteum Salzburg, the official Mozart Museum and residence in Austria. 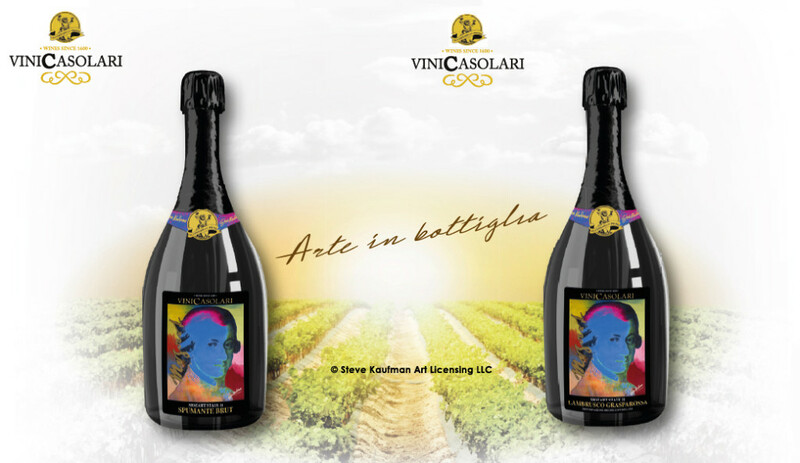 We celebrated the release of Vini Casolari Steve Kaufman on Sunday, December 14th, 2014 at 18:00 at the Caffetteria Giallo Modena presso Museo Enzo Ferrari, via P. Ferrari 85, Modena, Italy. 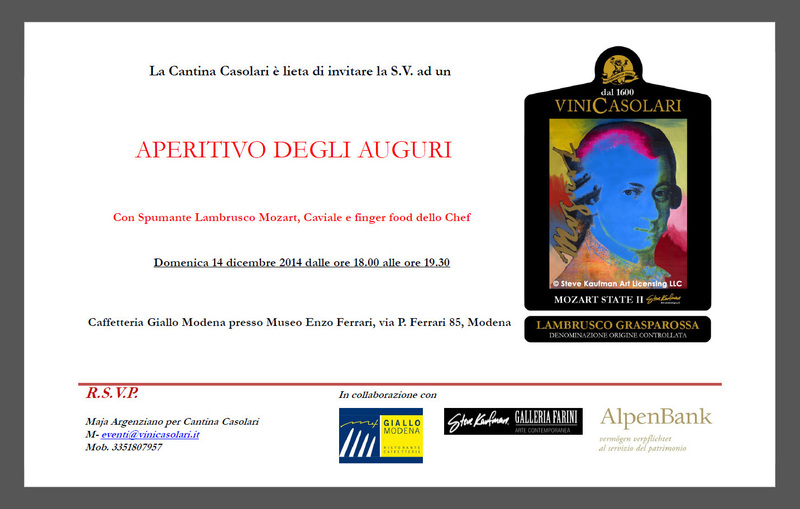 View the invite and sponsors here. 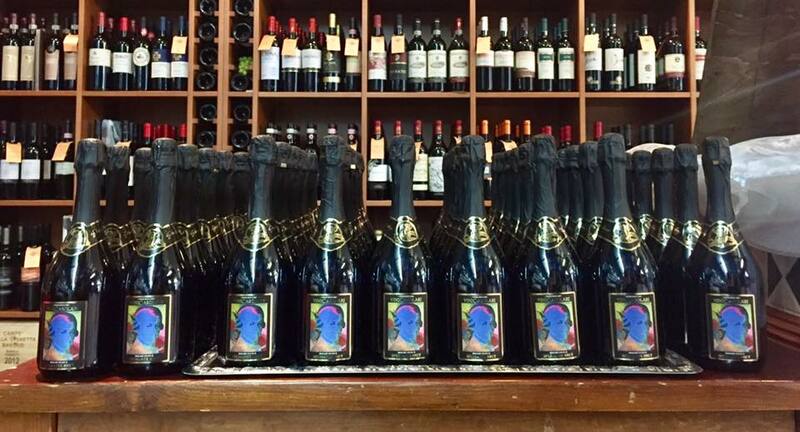 View media coverage by Centoparole magazine here. 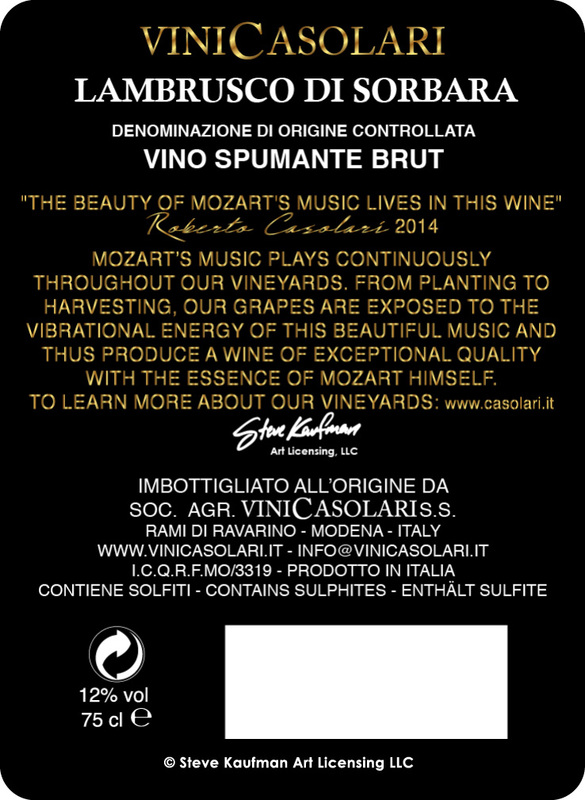 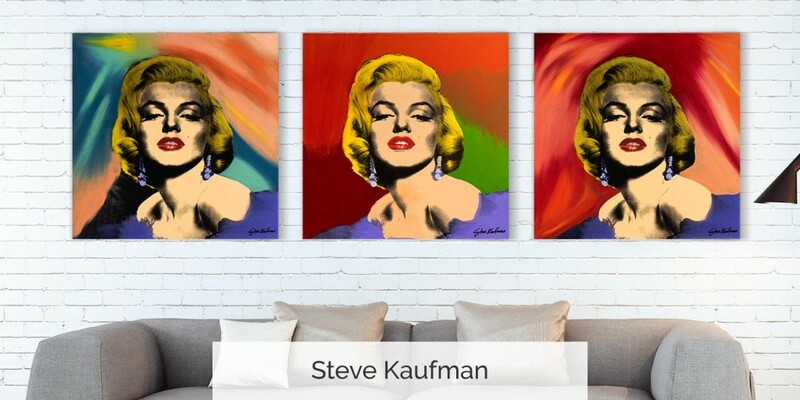 Steve Kaufman Art Licensing LLC is delighted to announce its partnership with Centro Soriano GmbH, a trusted purveyor of fine foods and valued customer service, which will exclusively offer in Germany the Vini Casolari Steve Kaufman selection of fine wines. 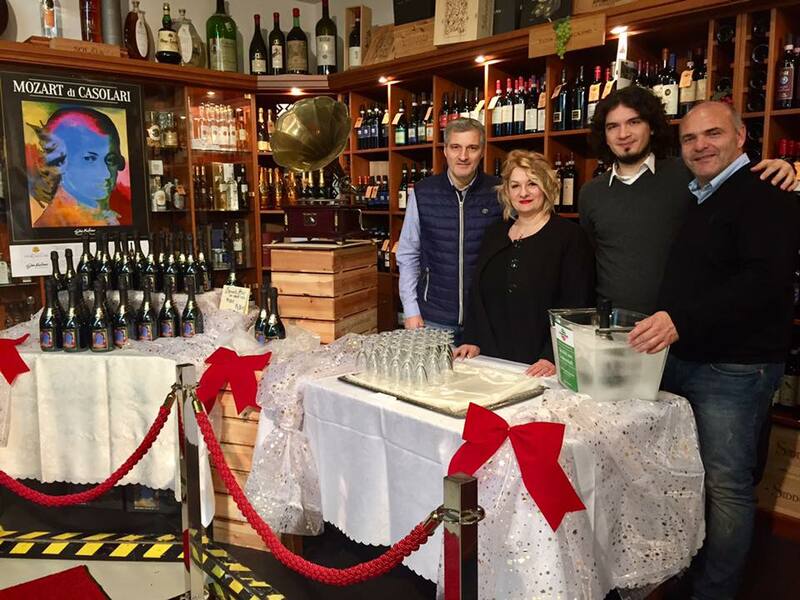 Centro Soriano sells gourmet products to consumers, restaurateurs, and companies. 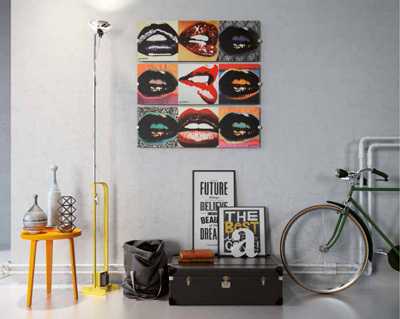 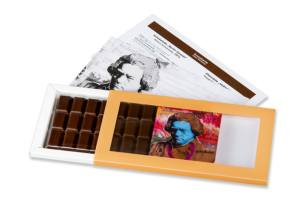 They also market to established caterers in locations such as concert halls, operas, and special events. 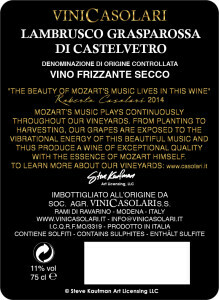 To place an order for Vini Casolari Steve Kaufman, please visit Centro Soriano online at http://www.centro-soriano.de/ or email kontakt@centro-soriano.de.